Google's free email service that offers upto 7 GB of free online storage, is one of the world's most popular email programs. By using of gmail you are able to signup on Facebook Twitter Instagram WordPress. Most of people always want to use more than one gmail accounts for various purposes but the thing is google do not provide facility to create a gmail account without phone number verification. So here we show you how to create unlimited gmail accounts without phone number in less than 1 minute. Just proceed below steps and enjoy your gmail account without phone verification. You can use this gmail accounts while registering on various apps for free recharge and on shopping sites where offer running only for new users. 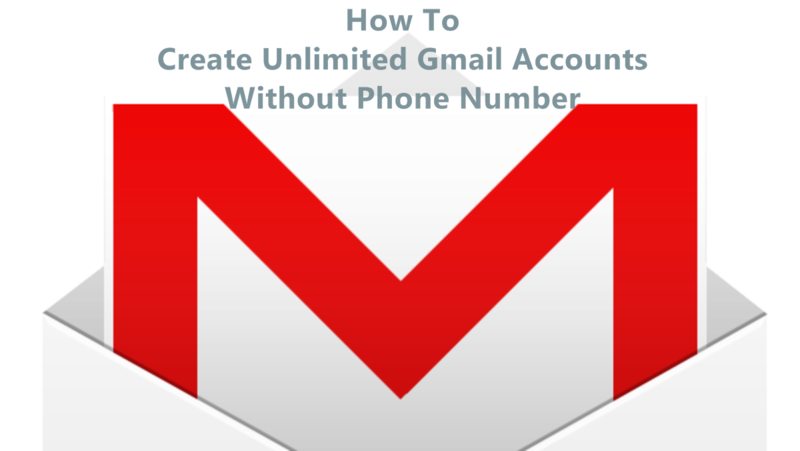 By this simple trick you can able to create lots of gmail accounts without phone verification. 1. Firstly Start your android device. 2. Now Click on setting option and open it. 3. You will see Accounts option there just click and open it. 4. Now click on Add Account option. 7. Now Fill up First Name and Last Name and then click on Next option. 8. On the next slide choose your User Name for email as per your requirement. and select strong password for your gmail account. 9. In the last step google will ask you to select your payment details ignore this and just click on Remind me later option and click on Next. 10. That's it your gmail account is successfully created without any phone number. Enjoy this great trick and share with your friends. 1. Repeat step 1 to 10 again and again for unlimited accounts. 2. For the safe side do not create more than 5 accounts per day. 3. Always set recovery email address in newly created gmail account for security reason. Hope you guys like this article. wrong this doesn't work, but nice try. it may work a few times but it will put a notification in our status bar, saying please authenticate your account. but still nice try. The correspondence level is esteemed by this service. The customer might be discussion with the specific mediator since they can give the staff id of the number.how expensive is a 0800 line?